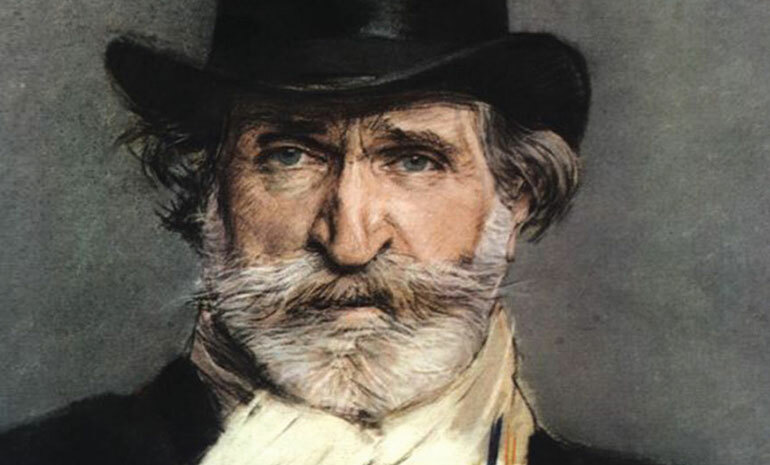 Verdi was born in Italy to a poor family. By the time he died, his fame was such that more than 200,000 people lined the streets at his funeral to pay him tribute. Egypt needs a hero to lead their army, and the High Priest has chosen Radamès. Egypt’s fortunes will turn on his sword, but Radamès has a higher purpose. Through victory in battle, he hopes to win the hand of the beautiful slave girl Aida – handmaiden to the princess Amneris, and secretly, an Ethiopian princess. The Triumphal March — big, bold and brassy, this glorious tune celebrates the Egyptians triumph over the Ethiopians in war. It’s one of the most famous pieces of classical music in the world — you might never have seen Aida, but you’ve probably heard the march. There is actually no authentic sampling of Egyptian or African tunes in the score — Verdi creates an Eastern “feel” at the end of Act 1 in the harps (it sound a little like what you might hear a belly-dancer perform to), and again in the famous Nile scene, where a flute plays a rippling melody line, rising in trills and leaps. Building a pop-up venue on the beach is a monumental undertaking. Here are the mind-boggling facts and figures. Two Pharoahs tower 7.6m over the stage. They’re carved out of polystyrene! It took two props makers 240 hours to make the statues. They travelled snuggled into a 40ft-shipping container with no room for anything else. 10 principal artists, 10 dancers, 50 musicians and 55 Community Chorus singers are involved in the production. It takes 11 days to turn the beach into a pop-up performance venue. Two manitous (large forklifts) work all day, every day bringing set pieces and infrastructure across the sand. 150 shots of fireworks of different sizes and colours will explode into the night during the fireworks display.